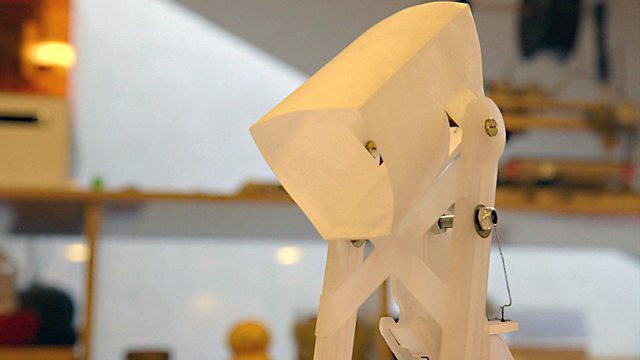 BBC World News - Click, 31/05/2014 GMT, Could this robot improve empathy? Could this robot improve empathy? A robot developed by the IDC Herzliya Media Innovation Lab in Israel could change the way we behave with each other. The machine has three emotional states: "curious", "calm" and "scared" and will react depending on the volume and tone of the conversation. Loud or aggressive sounds will make the robot shake and become "scared". It is hoped that by interacting with the robot in a gentle way it will improve people's empathy for each other. BBC Click's Jen Copestake finds out more. Could ambulance drones appear on the battlefield? Could the way we move be a password?